If you want to be successful you don’t necessarily have to know everything but instead have to surround yourself with a team. 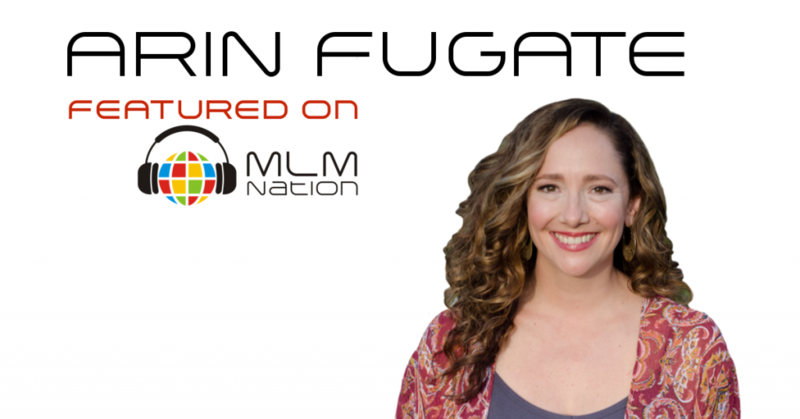 Arin Fugate shows us why it’s important to focus on our own strengths and what we’re good at. Also how to build your business even when you don’t have much money. All the top MLM leaders and successful distributors need coaches to continually improve their business. No matter what level or rank you are, I can coach you to your next milestone. Click HERE to see what is available. Arin Fugate grew up on a 180 acre ranch in Southern Oregon and was home schooled. At 24 years old, she left for Los Angeles to pursue a career in film. She eventually ended up starting a booking agency for DJs but soon got tired of it because she felt she wasn’t making an impact in the world by just partying. Arin was also broke and living paycheck to paycheck and got so burnt out that she quit everything and moved to Santa Barbara to be with her mom. It was during this tough time that Arin discovered network marketing. Even though she didn’t have much upline support and was on government financial assistance, Arin consumed personal development and learned what it took to be successful. Today, Arin is a Blue Diamond leader and a 6 figure earner. What drives Arin today is her goal to inspire the youth to go after their dreams and help them understand that if they set their mind to something, they can achieve it.